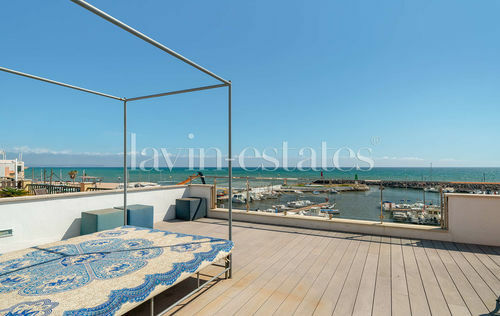 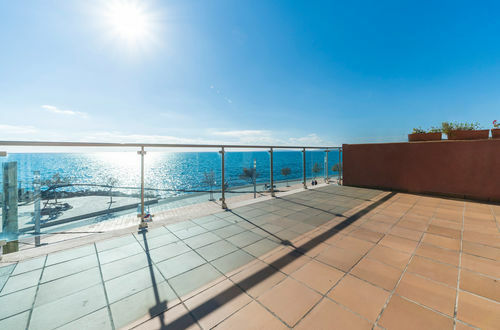 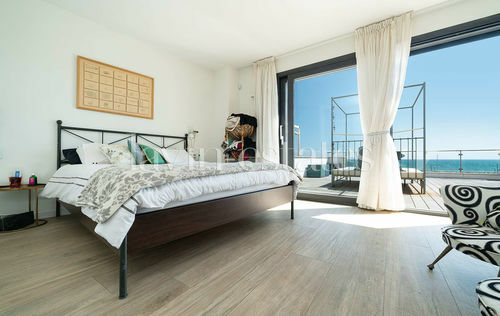 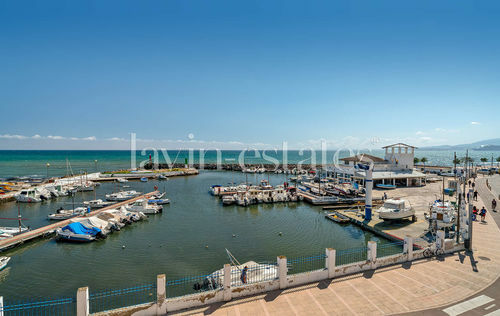 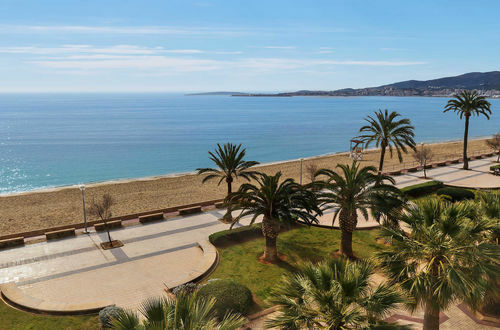 Do not miss this fabulous opportunity – you will find this spacious penthouse with a total of four bedrooms and three bathrooms in a prime location right on the beach promenade of Portixol. 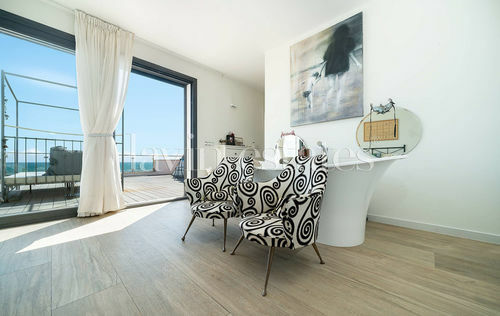 From the elegant master suite with private bathroom on the first floor you reach the beautiful terrace, which offers a unique view over the promenade, the harbor and the open sea. 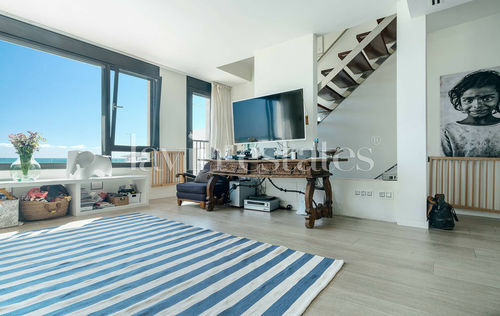 The bright living/ dining area with large windows and a modern kitchen leads you to a cozy terrace amd a patio with lots of privacy. 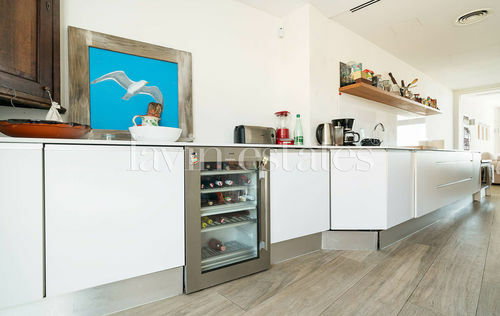 The interior is of high quality and a clear, elegant design. 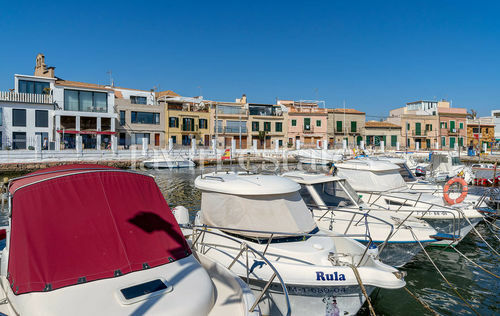 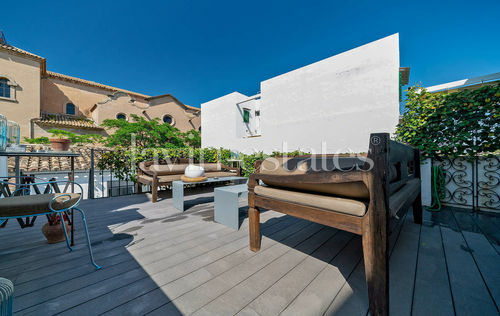 The former fishing village of Portixol in the neighborhood of Palma's old town is one of the most sought after locations in Mallorca and offers a beautiful beach promenade with a large selection of restaurants and cafes.